Christian J. Foster, deputy administrator for the Office of Trade Programs, Foreign Agricultural Service, U.S. Department of Agriculture, will meet with SNRE faculty and students Friday, Sept. 26. In Alaska to meet with businesses about export marketing opportunities, Foster will set aside a day for UAF. He will discuss opportunities with agriculture and forestry faculty, as well as Bryce Wrigley, owner of Alaska Flour Co. and Delta Junction farmer. 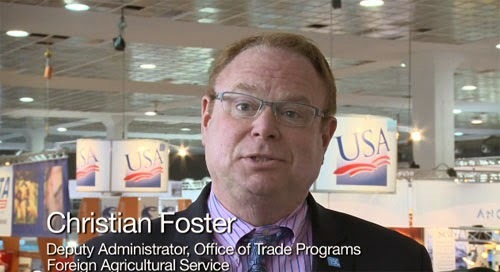 At 3:15 p.m. on Sept. 26, Foster will give a talk on the role of FAS in international trade and exports, future trends expected in global agricultural trade and career opportunities with the USDA. The lecture is in Arctic Health Research Building 183.